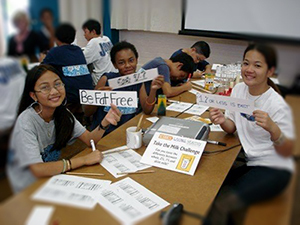 The Hawaii School Health Survey (HSHS) is a joint effort between the Hawaii Departments of Health and Education to monitor the health status and needs of students in grades 6 through 12. The HSHS coordinates different youth surveys under one umbrella to minimize disruption in the schools and maximize the breath of health information collected. Oversight for the HSHS is provided by various programs within the Departments of Health and Education with input from the University of Hawaii and other state and community agencies through the HSHS Committee. The University of Hawaii, Curriculum Research and Development Group is the contractor that administers the HSHS to students with local school principals and teachers. We are very grateful to school officials and teachers and especially the students who make this survey possible. What topics are covered by the surveys? It also measures the prevalence of obesity and asthma among students and special topics of local interests are also covered. For example, in 2011 additional questions were added to learn more about tattoo prevalence among students, and 2013 asked about oral health. Click here for more information about the Youth Risk Behavior Surveillance System in the US. For more information about the YRBS in Hawaii, click here. For more information about the YTS click here. Where can I find data on Hawaii Youth? The Hawaii Health Data Warehouse provides detailed reports for the YRBS and YTS. Researchers interested in record-level data can access the Department of Education research website to submit an application. These brochures were created by the Hawaii Department of Education (DOE), Hawaii Department of Health (DOH) & University of Hawaii’s Curriculum Research & Development Group. YRBS 2013 Hawaii School Health Survey: Hawaii County Public Middle School Report. 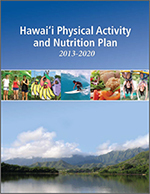 YRBS 2013 Hawaii School Health Survey: Honolulu County Public Middle School Report. YRBS 2013 Hawaii School Health Survey: Kauai County Public Middle School Report. YRBS 2013 Hawaii School Health Survey: Maui County Public Middle School Report. YRBS 2013 Hawaii School Health Survey: Hawaii County Public High School Report. YRBS 2013 Hawaii School Health Survey: Honolulu County Public High School Report. YRBS 2013 Hawaii School Health Survey: Kauai County Public High School Report. YRBS 2013 Hawaii School Health Survey: Maui County Public High School Report. YRBS 2011 Hawaii School Health Survey: Kauai County Public Middle School Report. YRBS 2011 Hawaii School Health Survey: Hawaii County Public Middle School Report. YRBS 2011 Hawaii School Health Survey: Honolulu County Public Middle School Report. YRBS 2011 Hawaii School Health Survey: Maui County Public Middle School Report. YRBS 2011 Hawaii School Health Survey: Kauai County Public High School Report. YRBS 2011 Hawaii School Health Survey: Honolulu County Public High School Report. YRBS 2011 Hawaii School Health Survey: Maui County Public High School Report. YRBS 2011 Hawaii School Health Survey: State of Hawaii Public High School Report.